I am experimenting with different ways to do entries about terms. As I work on these terms, I ask myself: What are some effective ways to express what these terms mean? How can I (or my students) demonstrate an understanding and engagement with the term? What works best for me as reference points for future writings? How can I make these terms accessible to a wide and diverse audience without stripping them of their depth and complexity? I like all three (perhaps for different reasons). I will keep experimenting throughout the summer. Any thoughts on which one works better? 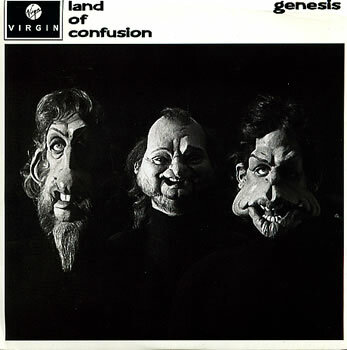 Are you in a state (or land) of confusion? If you are a little confused about this blog–how it works, why I am doing it, etc, I am here to help! I just finished updating my explanation pages. They are located under the Pages section in the top right corner. Or, just click on these links to read About Me, About the Categories, About this Site or Troublemaking Defined. Enjoy! Posted on June 22, 2009 June 22, 2009 Categories Experiments5 Comments on Are you in a state (or land) of confusion? TAKING CARE = STAYING IN TROUBLE? 3. To take care, pains, trouble (to do something) implies watchful, conscientious effort to do something exactly right. To take care implies the performance of one particular detail: She took care to close the cover before striking the match. To take pains suggests a sustained carefulness, an effort to see that nothing is overlooked but that every small detail receives attention: to take pains with fine embroidery. To take trouble implies an effort that requires a considerable amount of activity and exertion: to take the trouble to make suitable arrangements. 1. concern, upset, confuse. 4. pester, plague, fret, torment, hector, harass, badger. 12. concern, grief, agitation, care, suffering. 14. See CARE 15. trial, tribulation, affliction, misfortune. So, taking care = being vigilant/watchful = persistent (critical) attention = making an extra effort = not being complacent = staying in trouble. I like this connection because it enables us to think about troublemaking as something other than disruptive and destructive; it is a form of care. For me, this connection is key for thinking about the ethical implications and import of making/being in/staying in trouble. Posted on June 11, 2009 May 4, 2015 Categories ExperimentsTags 200 words or less, Care, feminist ethics10 Comments on TAKING CARE = STAYING IN TROUBLE?